Hornady takes self-defense seriously, and so should you. 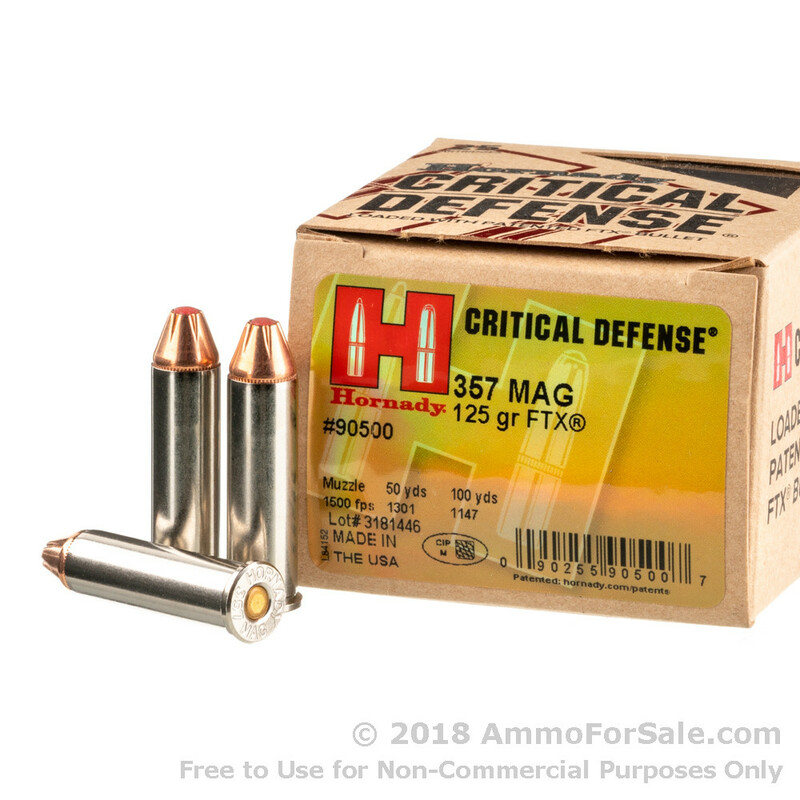 This Hornady .357 125 grain JHP (jacketed hollow point) ammunition is specially designed for effectiveness and reliability, two key factors in personal protection. In the creation of this round issues such as the preservation of night vision and consistency of expansion were taken into consideration. Low muzzle flash protects your night vision, and the JHP controls mushrooming. And that’s just the beginning of how Hornady looks after your self-defense needs. Back in World War II, founder Joyce Hornady was a marksmanship instructor in the military. Today, manufacturing takes place in Nebraska, meaning your ammunition truly comes from American’s heartland. Hornady’s love of shooting and ammunition eventually led to the company’s production of this custom-designed round, and there is no doubt of its efficacy. 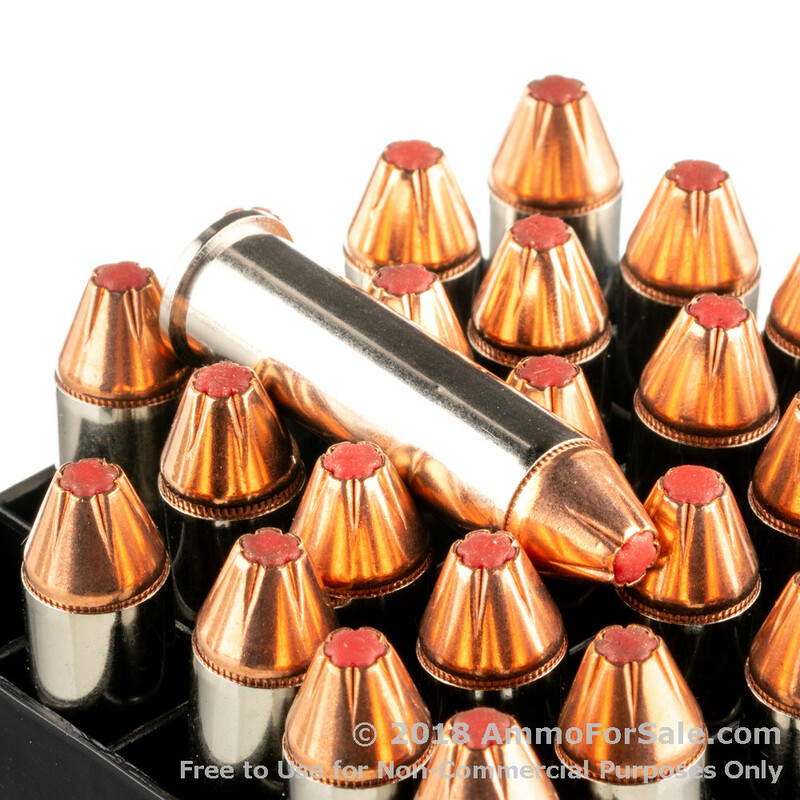 They knew hollow points sometimes have problems, such as clogging, so they used Flex Tip technology to eliminate those problems for these rounds. And in order to reduce recoil, more efficient propellants were used. When you’re in a self-defense situation, you have to trust your gun and your ammunition. 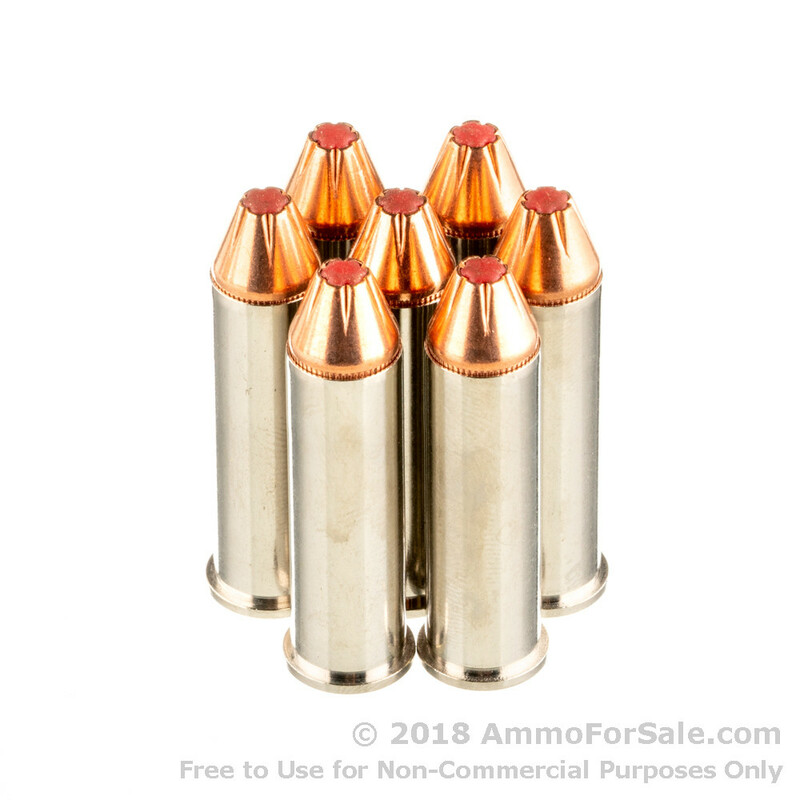 By loading these Hornady .357 125 grain JHP rounds into your gun, you’re giving your firearm the ability to provide superior protection to you and your family. Muzzle velocity is a blazing 1,500 feet per seconds, an impressive speed for any round. And although 125 grain is a lightweight round, it does not hinder stopping power, because this ammunition has a whopping 624 foot-pounds of muzzle energy. This ammunition gives new meaning to fast and furious. 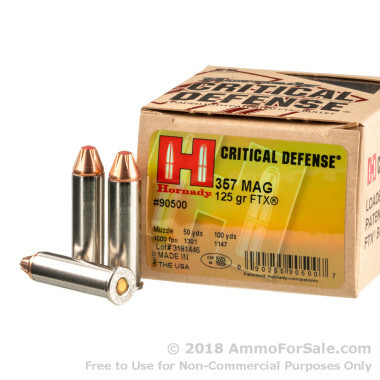 There are 25 rounds in this single box of ammunition, making it just what you need to place in your safe so you know you’ve got hollow points available. It’s also great to put through your gun so you can get a feel for this powerful ammunition, because getting familiar with your self-defense ammunition is incredibly important. For your .357 personal protection needs, think Hornady. Want more rounds in a bulk ammo package? Check out this same .